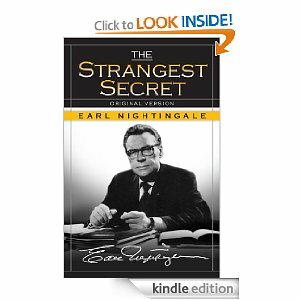 There is a concrete idea in Earl Nightingale's "the strangest secret" to get his message across. It is that our brain is like a field. You, as the owner of that field, can choose to plant corn (a healthy crop) to it or a nightshade (a deadly poison). With these two options, what is it that you would rather plant? This is the same thing that we do whenever we are feeding our minds. We either feed it positive thoughts or negative thoughts. If you are visualizing negatively, then you may be poisoning yourself essentially as long as you keep thinking about this vein. So, if what you want is to get more out of your life, what you need to plant are superior crops which translate to good thoughts for this example. If you are feeding your mind with positive thoughts and regularly filling your brand with good seeds, then you can expect good results for your life. This will not happen overnight though. It will not take just one day to form a habit and fill your mind with positive thoughts. So what is the strangest secret actually? It is that you will become whatever you think about. That means if you project positive images in your mind, then you will attract good things. On the other hand, if you are project negative images in your mind, you will surely draw bad things towards you. Thinking of it, it's really amazing how much control we have on our lives. We can even control our circumstances. There is also a way to change these circumstances in your life right now if you don't want them.